Bell was born on December 9, 1967 in Bloomington, Indiana. He studied under Josef Gingold as a child and at Indiana University. Since appearing with Riccardo Muti and the Philadelphia Orchestra at age fourteen, Bell has become a classical music superstar. 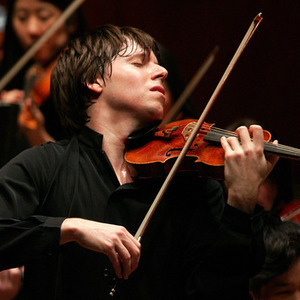 In addition to his violin performances, he has begun to pursue a career as a composer and conductor. Bell has written cadenzas for the violin concertos of Mendelssohn, Beethoven, Brahms and Mozart. He plays the 1713 Gibson ex Huberman Stradivarius.